Good Morning! I hope you all had a great weekend. It was glorious here in FL - 80s all weekend, a nice breeze blowing and the windows were open. I am hoping between all the fresh air and the Clorox cleaning spray that all the sick germs will be totally iradicated and I can finally get rid of this cough. Well, it's Monday and the beginning of another week, but I don't want that to sound like drudgery because over at Deedee's Digis Happy Monday Challenge there's a lot of fun! 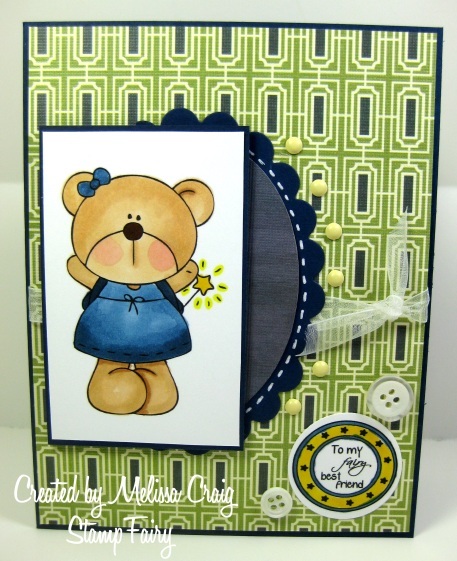 This week the challenge is to create a funny card to send to a friend. Well, I don't know how funny my card is, but I think it's fun and cheery. I hope you do too. This card features one of the newest Dollar Digis, Lifted Up, which I couldn't think of a more perfect digi to send to a friend. I picked a simple layout so that if you needed to create a quick card for several friends. Here's the inside that shows off the sentiment. Here's a great thing about digis - you can resize them! 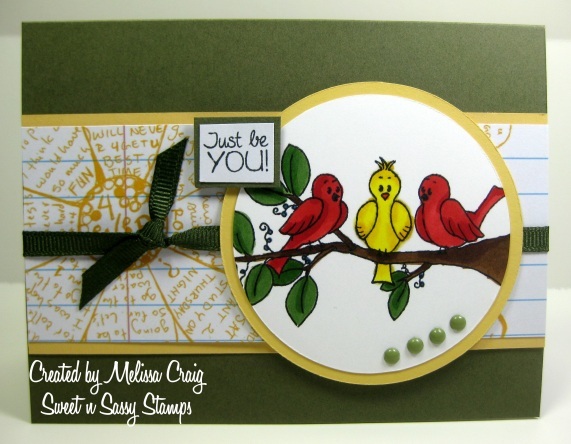 This sentiment can be made smaller for the front or bigger to create the inside message. I hope you join us this week - come on..... it'll be fun! Happy Monday! Good Morning! It's Tuesday which means there is a great sketch over at Tuesday Morning Sketches to play with and a great sponsor! We have Tiffany's Doodles joining us this week and my card features one their beautiful images. The image is one of my favorites - this is a dogwood branch. Now the ones I have seen are more creamy in color, so I went more vintage colors. I hope you like it. Hope to see you over at Tuesday Morning Sketches. This is a great sketch with easy elements and so much possibility. I had fun with this... 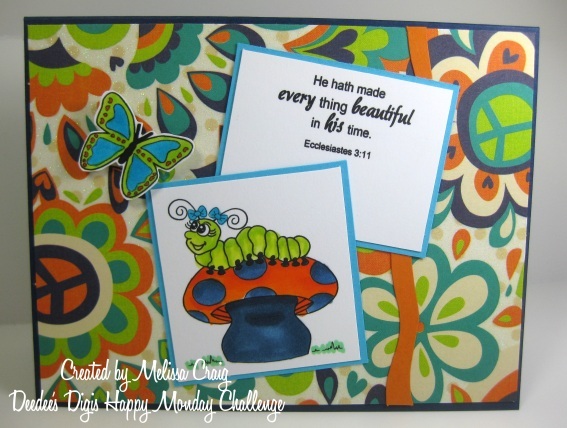 I recently sold a bunch of my cards so I used that money to get some new matstacks and this was is called Hippie Chic - isn't it just.... groovy! Haha! I love these colors! I used the super sweet dollar digi called In His Time. Anyway, I hope you join us! Have a super great week. Good Morning! It's Tuesday so that means there is a new challenge over at Tuesday Morning Sketches. It's time for the Judged Challenge and no sketch this week. This week we're doing a super easy technique for a Folded Frame. 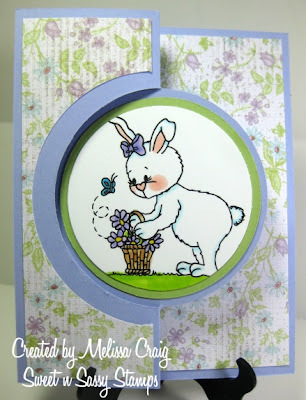 We're sponsored by StampFairy this week, you've seen Gerda's adorable images featured here on my blog. I just love this folded frame look - it's like a present that was just opened and the image is the gift inside. I hope you join us over at Tuesday Morning Sketches - it'll be a lot of fun. Good Morning! 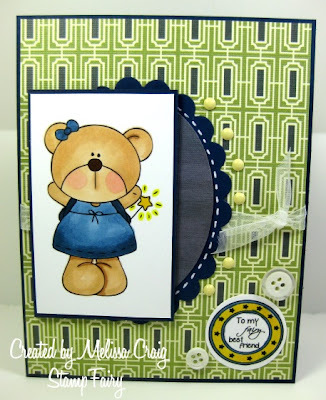 Deedee Digis has gone through some reconfiguration and now I am exclusively part of the Deedee's Digis Happy Monday Challenge and I am soooo excited. 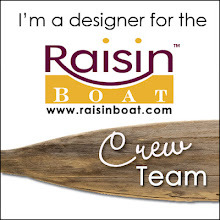 There are new and seasoned DT members on this team and I am so thrilled with the direction that Deedee has taken. 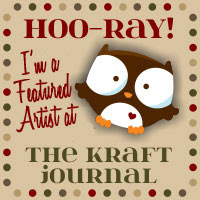 There's a new store, the Craft blog and the very own challenge blog. This is so much fun!! So are you ready for this week's Happy Monday Challenge? It's a really easy and super fun one - All Buttoned Up. 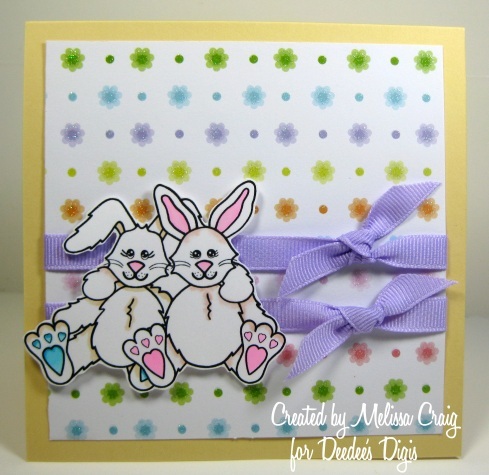 This means you need to have buttons, real or faux, featured on your cards or projects. I have both to share with you. First... since its Valentines Day, this is what I made for Hollyanne to give to two of her friends. 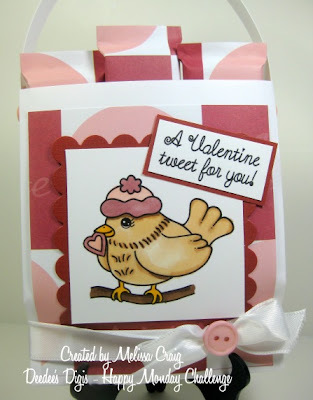 This was so much fun and so easy to make - this is an envelope gift bag. Inside is a lip gloss and 3 chocolate bars, just a pre-teen girl loves! 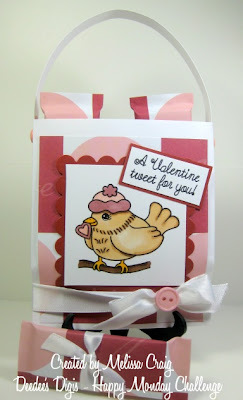 This is a close-up of the front of the giftie - I am featuring Valentine Tweet, a sweet little $1 digi set. And now for my card - this features a brand new $1 digi called Pocketful of Joy. Now this is a cat I could actually like! This card features soft sweet colors in shade of green, blue and lavender. The brads didn't photograph well, they are actually really bold purple. The layout came from a great sketch over at Sketch Saturday. I hope you join us over at the new Happy Monday Challenge and be sure to visit the new store. There is a sale going on. The coupon code is NEWSTORE for 50% off your entire order at checkout!! Have a Happy Monday. 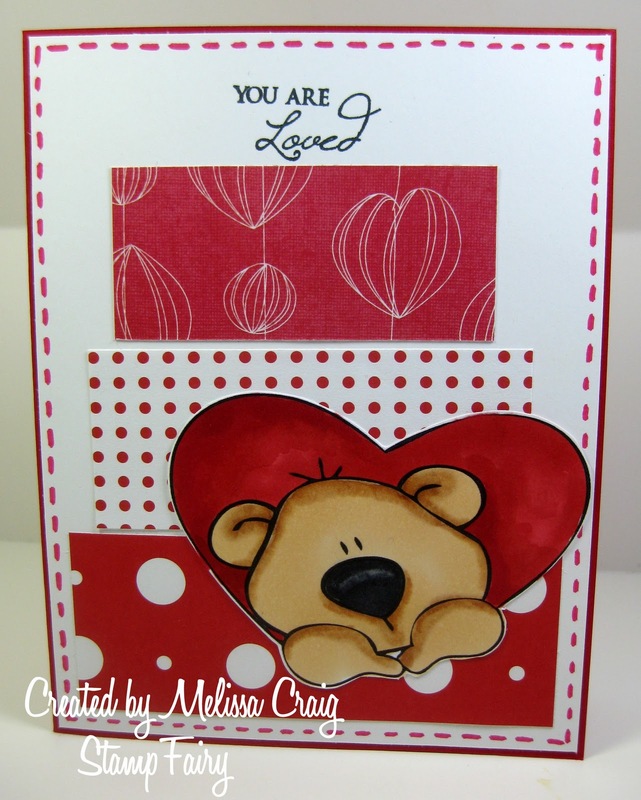 I kept my card fairly simple - the same I feel that love should be. Simple... plain... just out there with no embellishments. 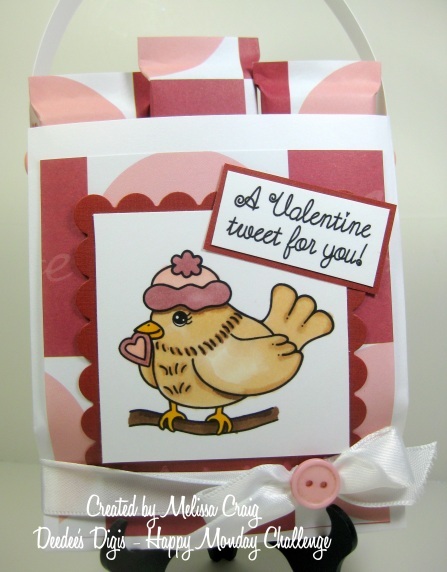 My card features Cocoa's Heart and a sentiment from the Valentine's Sentiments digi set. Now here's a close-up of the image and you can see that I did some pretty intricate cut work - again, another definition of love - love is complicated and intricate and has all these little details to it. Love should be obvious but with a intricacy to keep it interesting. Now to join in the hop visit the rules page here. To link your project, you do that here. I hope you like my card and thank you so much for stopping by. Be sure to head on over to the SNSS Store, too, there's a clearance sale!!! Good Morning everyone!! 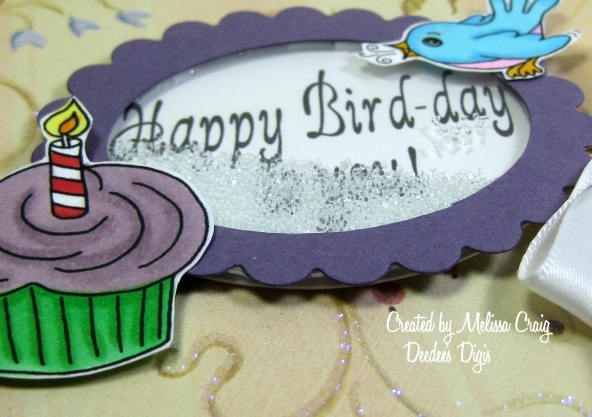 If you're here because this is a favorite Friday stop for Stamp Fairy, please scroll down, but you're more than welcome to join us in wishing Deedee of Deedee's Digis a very happy birthday. My personal message to you, sweetie.... My birthday wishes for you are... health, happiness, prosperity, devotion, love and friendship. May these blessings be in abundance for you. I am so thankful that you are my friend. Happy Birthday!! I created this card to celebrate Deedee's birthday with her sweet set called Happy Bird-day. 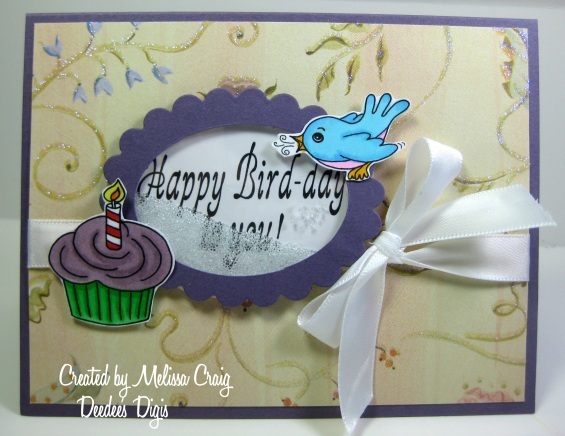 This sweet set features the sweet bird and cupcake as a single image, but I cut them apart and it also has 3 very sweet sentiments. I did make this a fun, festive card by making a shaker card. I did put too many micro-beads, but still it shake, shake, shakes. Here's a close up to see all the little beads and the pretty glitter paper. I hope you like it. Thank you so much for stopping to by to celebrate Deedee. Your next stop on the hop is Kelly's blog. Now, if you've visited and commented each blog, your last stop is the Crafting with Deedee's Digis blog. 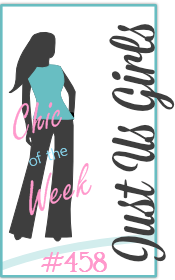 Leave a comment there and you have a chance to win a $20 gift certificate!! Have fun!! Isn't he so sweet? I just love how he's peeking out of the heart! I did use a sketch from IC Sketches again this week - I've really fallen in love with their sketches. They're easy to use and so much fun. 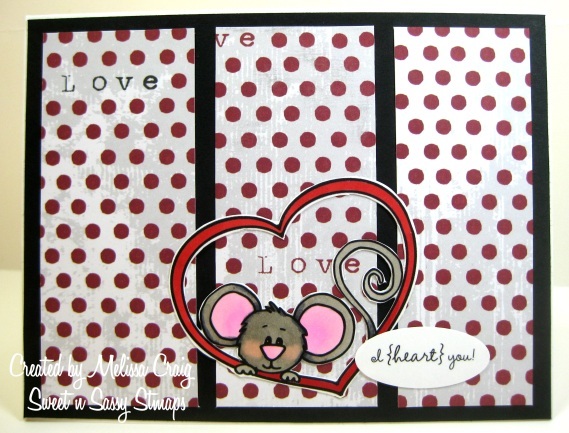 I hope you enjoy my card, now head on over to StampFairy to grab the Toby freebie and see the other new releases featuring Toby. Good Morning! I hope you're having a great week so far. It's Tuesday, which is one of my favorite days of week. I have a new sketch this week and we're being sponsored by Digis with Attitude. It's a fun sketch that's pretty simple and really open to interpretation. Now, although I am grateful for the super wonderful digis that Digis with Attitude shared with the team, I chose to let the team demonstrate them while I played with some much neglected stamps. I hope you like the card and that you're inspired to join us! Good Morning! I hope you all had a great weekend, I did - it was very relaxing. I know my sisters a freezing in Colorado and many of my friends are under snowy, cold conditions in their parts of the country but it was near 80 on Saturday here in Florida. Now I am really love the new stamps from Sweet n Sassy Stamps, especially One of a Kind. 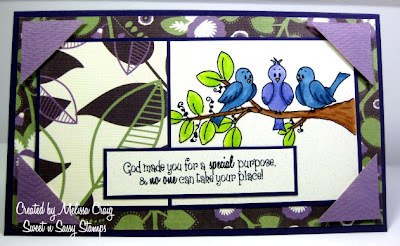 This set has such wonderful sentiments and the birds are fantastic. This image is so much fun to color. I did also incorporate The Sweet Stop's sketch this week, too. Thanks for coming by my little blog today - have a great Monday!! ...and He loves you very much. Are those words familiar to you? My kids were huge Veggie Tales fans and even now that they've out grown the sweet singing/acting vegetables, they will still watch them once in awhile or sing a silly song. Well, with the great line up of new releases this month, the sentiment (used on my card) from One of a Kind reminded me of Bob's wise words. God did make you for a special purpose and I truly believe that in the way we treat each other, love our families and worship Him is a glimpse of the person He is molding you to be. Our real potential will never fully be developed until we are in Heaven with Him, but I think that here on earth we certainly should be practicing. 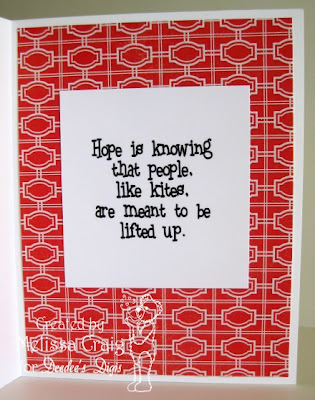 You can practice by just saying a little prayer for a friend, or helping a child see the awe of Creation or just being kind enough to create a card for someone special. So go ahead... practice! I did use a wonderful sketch from ICSketches to create this card. I do wish I could photograph purple better, but I still haven't mastered lighting yet. Good Morning! It's Friday which means I have another great image from StampFairy to show you. 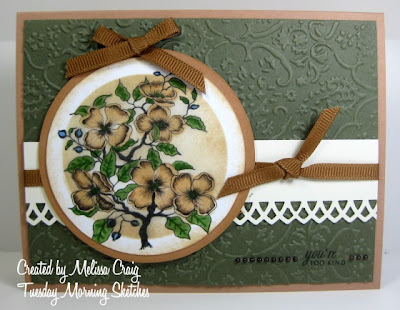 I made this card using an awesome sketch from 4 Crafty Chicks - paired with some wonderful paper and the cute new image from StampFairy, this card was a joy to put together. This is Linda and I know you've already met her as an adorable ballerina, but here she is as a fairy. Now I did color her wings as arms and I really did do this on purpose. I wanted her to appear that she is reaching out to give you hug, you'll just have to imagine her pretty little wings are being a bit shy. I hope you like my card. 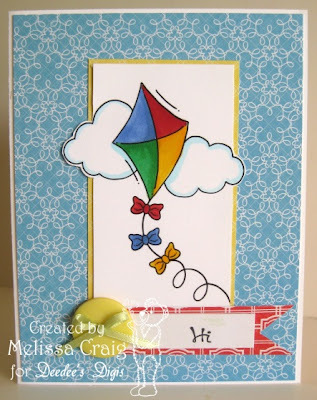 Don't forget to visit StampFairy to get the sentiment as a freebie. Enjoy! Good Morning! It's Thursday and I am so happy we are closer to the weekend. 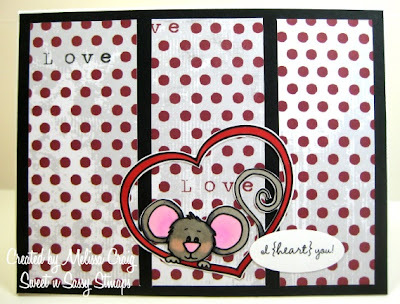 My card today is featuring a cute digi from Deedee's Digis called All Ears. The set does come with some sweet sentiments although I left my card sentiment free. I did use a time friendly sketch for this card from Card and Things Challenges. I liked the sketch because it enabled me to show off the adorable bunnies against some equally adorable paper. 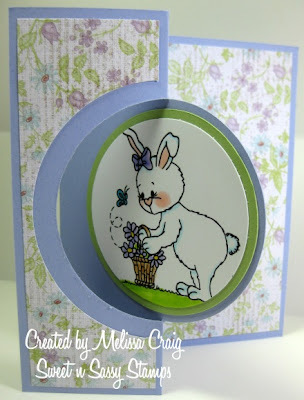 The lines are simple and the colors are so fresh and hinting towards spring. 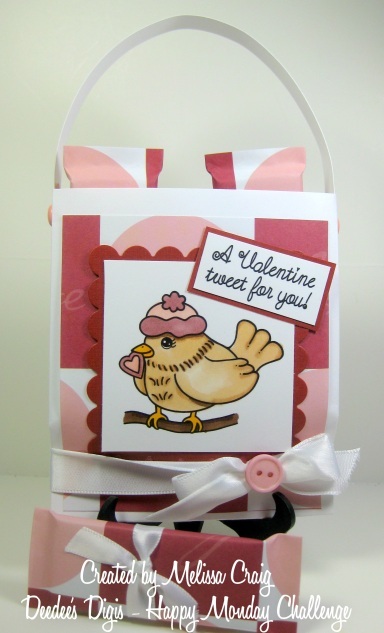 I do hope you like my card and that you'll head on over to Deedee's Digis for a little shopping. Have a super day! Good Morning! 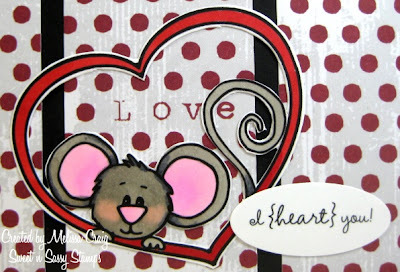 It's February 1st - well 2nd, but the new challenge is up at Bee Crafty and it's all about the hearts. 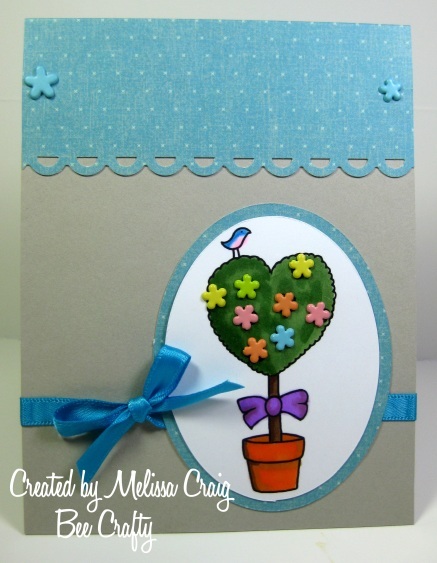 So here's my card, I used Wedding Bay Tree. 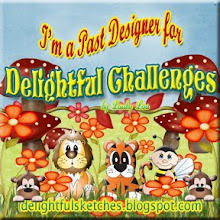 I did use the sketch from Wee Memories Challenge which is a really easy and fun sketch. I had a hard time coloring the tree and avoiding the flowers so I ended up adding little flower brads to the tree and I really like the added dimension the brads gave. 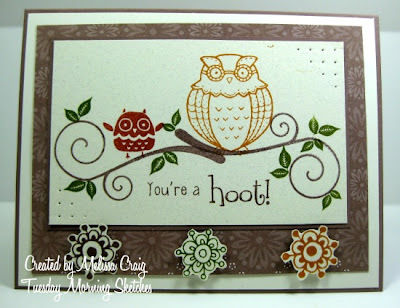 I hope you like my card and that you'll join us over Bee Crafty. You have all month to join in the fun. Good Morning! Happy Tuesday! I am really excited about this week's sketch because I didn't draw it! LOL My sweet 12 year old daughter did. She'd been wanting to try her hand at creating a sketch and so she did it. 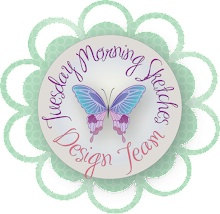 Be sure to head over to Tuesday Morning Sketches to check it out and join in the fun. Inktegrity is sponsoring this week and offering a wonderful prize. 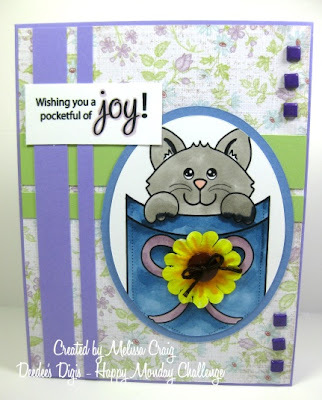 Isn't this a fun layout?! I think Hollyanne did a great job! 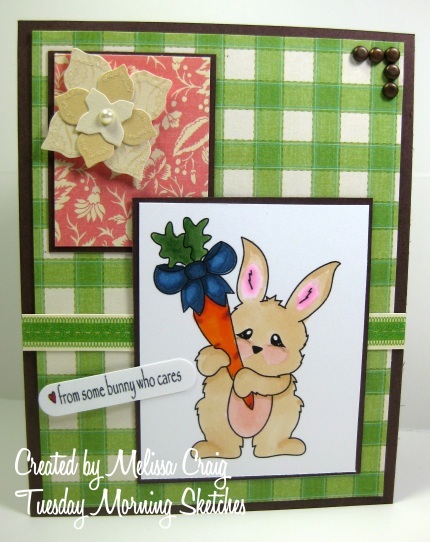 The sketch was fun to play with and with a great image such as this, Easter Bunny Gift, it was so easy to put together. I hope to see you over at Tuesday Morning Sketches this week. Have a great Tuesday!